We offer Solidworks for students at UCR. The license type is an annual license. If you are a Bourns College of Engineering student, you can acquire Solidworks from the following site. Students will receive the serial number in an email after requesting through MySoftware. 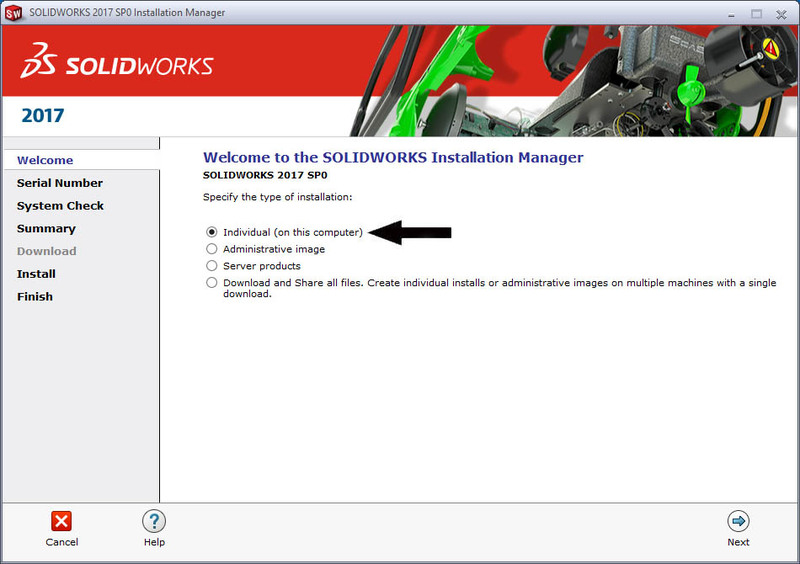 Why is the SolidWorks Installation Manager blank when I run setup.exe? Windows can block files that it thinks may be malicious. 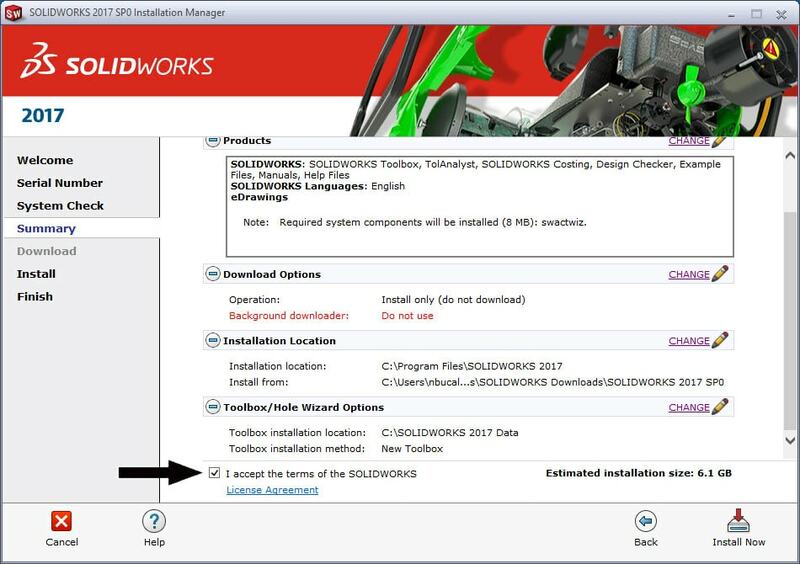 This same security feature can cause the SolidWorks installation manager to not work properly. To fix the issue, you will need to unblock the .zip file before the installation files are extracted. Right click on the .zip file and select Properties. On the General tab select the Unblock option. Then unzip the file to extract your installer and associated files. Result: The installer should run properly and no longer appear blank. Browse to the downloaded SolidWorksSetup.exe file. To run the file, right click on the file in Windows Explorer and select Run as administrator. The file is a self-extracting zip file. So, when prompted, choose a location and Unzip the file. 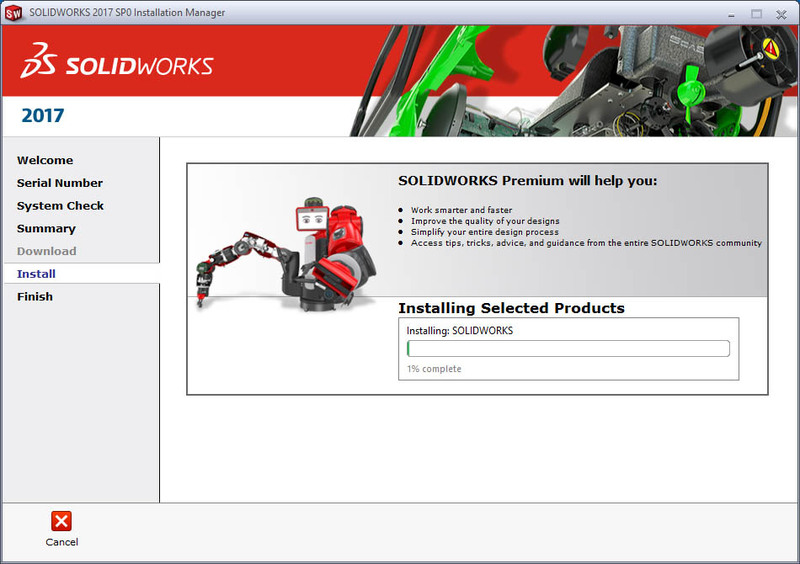 This will launch the SOLIDWORKS Installation Manager. 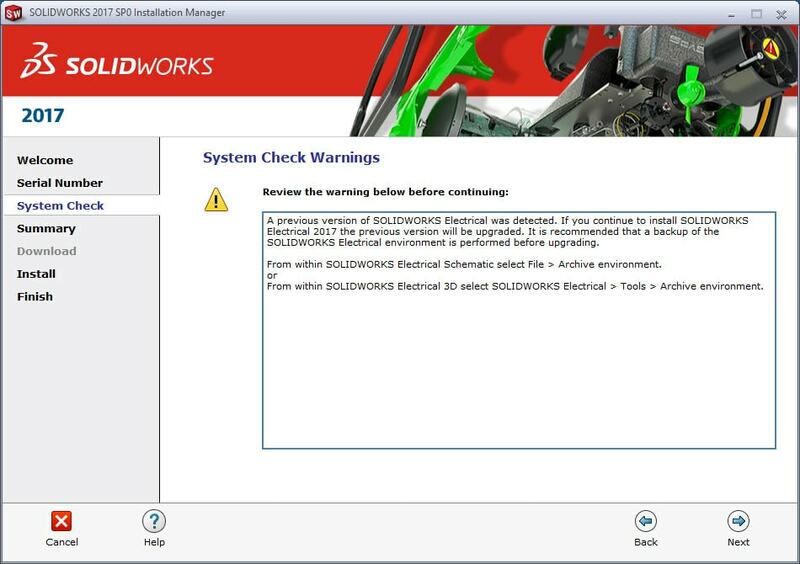 SOLIDWORKS recommends that you restart your system before beginning a SOLIDWORKS installation. You will be prompted if a pending reboot is detected. The Installation Manager first performs a system check. In the following images, please proceed as if we are installing next to a previous install. 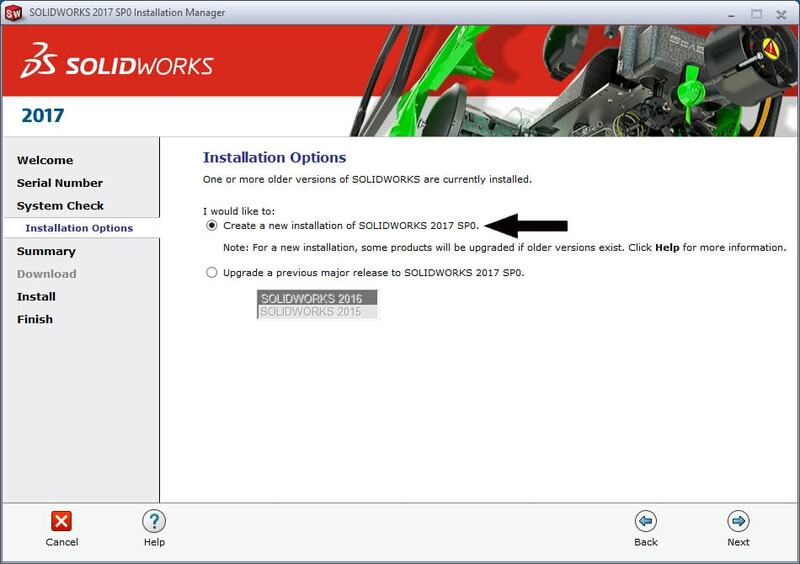 Select Create a new installation of SOLIDWORKS 2017 and click Next. 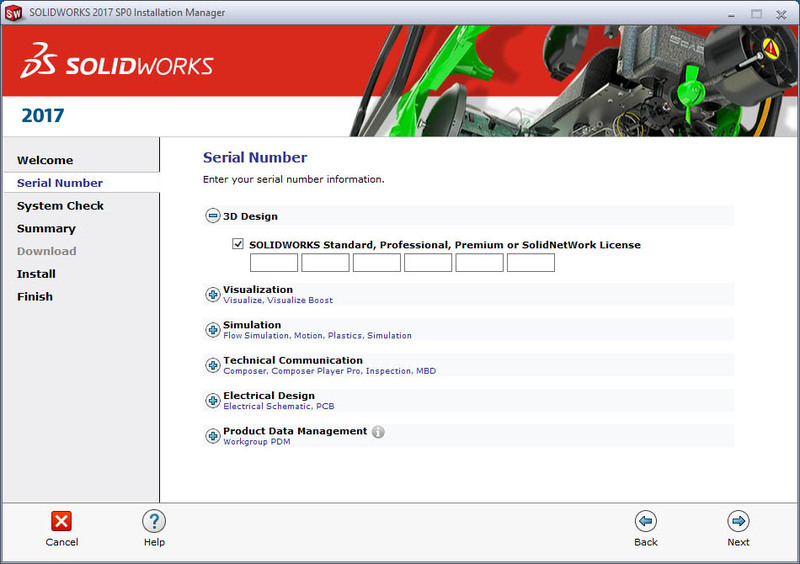 The steps are the same for a computer that has not had SOLIDWORKS installed on it before. The first item on the Summary page is the option to select which Products you want to install. Use the CHANGE link to select what products you want to install. You are now ready to Download and Install. Please note the download size. This is NOT a small download! Note: I chose to Download only first. Then, I launched the setup.exe from the download location again once the download was complete. That is why the image above shows the Install Now option. 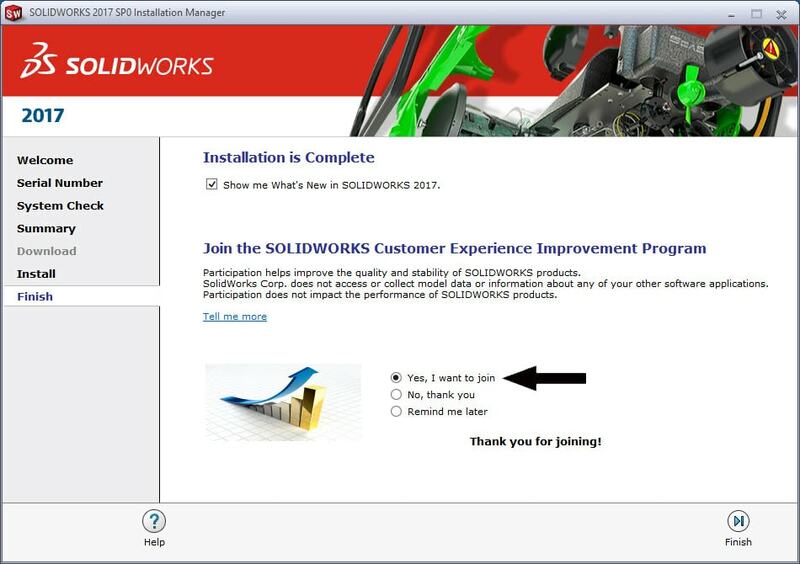 NOTE: Please remember that the CAD Admin Dashboard and SOLIDWORKS tracking only works if you join the Customer Experience Improvement Program. Participating will not slow down your system. 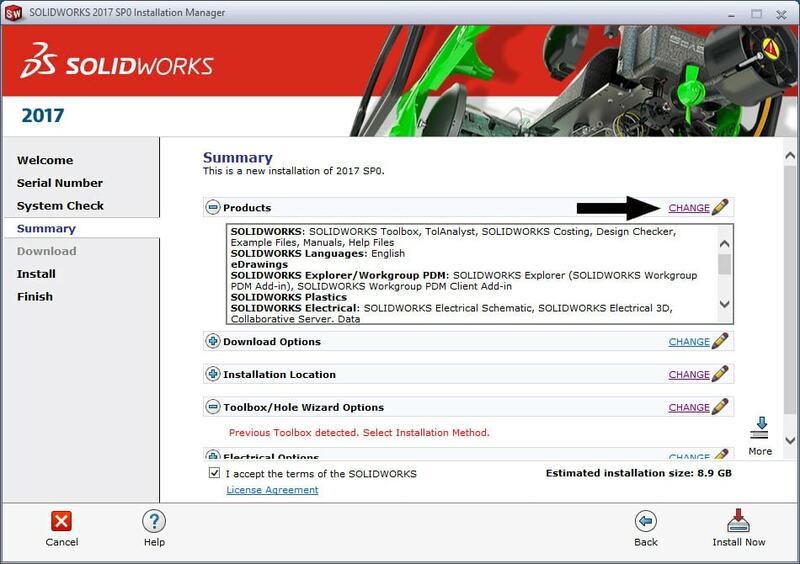 SOLIDWORKS automatically creates the performance log files in the background whether you participate or not.